Training camp. | Helping the best to get better! 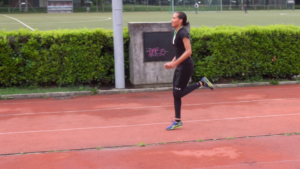 After 14 years, I started actively coaching athletes again, or rather … one athlete. Call me stupid if you like, but I just could not resist the challenge to see if I still can make a difference. I choose a rather gifted, young athlete, (as matter of fact, she choose and asked me and I said yes). She is in the final stage of her exams in high school, or in Holland, preparing for university, which takes time, brain effort and brings some stress with it. Therefore I decided to go abroad, mainly to focus on study and training without many of the distractions of the modern adolescent, who is flooded, influenced, molded, nudged and manipulated by Facebook, Instagram and Snapchat. And hopefully, after finishing this stage, in a few weeks from now, we can focus more on training, performance and competition results. 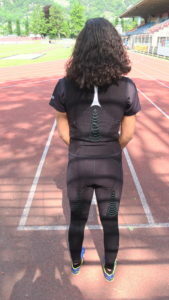 2. working with wearable resistance and measuring the effect on sprinting, e.g. speed, stride length and stride frequency. Load in this case: 400 gram on each quad and each hamstring. But be aware that this does not tell you much, since the leverage (on placing on the muscle group is the main variable here. Practice what you preach, in previous posts I wrote about Methodology of Training 2.0, an overview of new developments in this field since the 1960’s. My approach to training will mainly be based on the foundations of this concept. I believe that most of our ideas and concepts are either based on knowledge, experiences and science, based on times when sports was very much different from how it is now, and mainly coming from the former East Bloc states like the USSR and DDR before 1990. Or based on “new” specialized, but very specific, but fluffy concepts without any depth, scientific background nor adequate experience e.g. performances. For example, recently in Holland a young exercise physiologist made the headlines, because he uses muscle biopsies to guide the training, thinking he came up with something new. Great, but we have done these already in 1986/1987, as I pointed out in earlier posts, and we moved on and are 30 years ahead. Training definitely isn’t rocket science, otherwise we’d all be working at NASA. But regarding training as a biological experiment, the knowledge about the functioning of the athlete’s body and mind is increasing exponentially, and even if basic knowledge still hold true, the difference is performance is made in the details. Training isn’t difficult, there are many variables that we understand pretty well, but training is therefore complex, how do all these variables interact with each other, positively or negatively? 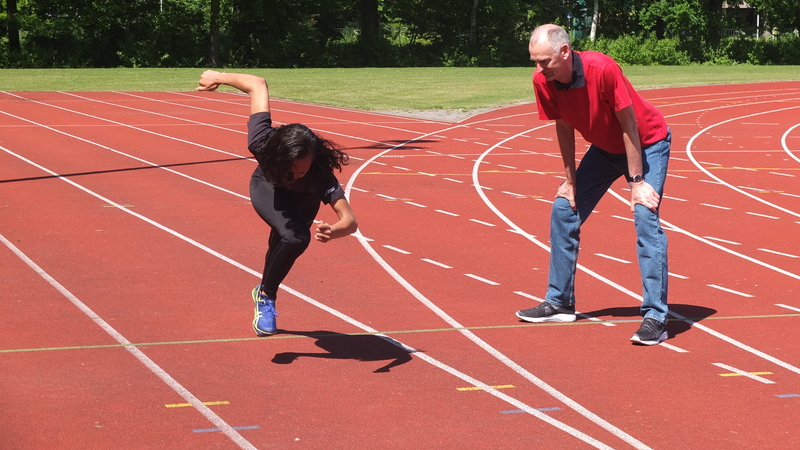 An example, every sprinter in the world performs almost the same technical drills, like e.g.skipping or high knees, so that’s is not where the difference is, but the difference is in the application for each individual athlete: why (or why not) they are performed, how they are performed, how often, how many, in what combination, etc. How does this drill transfer to a better sprinting form? And here is the key questions to think about. We all have many drills and exercises in our “toolbox”, but what would the impact on performance be if we leave one of these exercise out of our workouts? Would there be an impact anyway? If the answers is “no”, or you don’t know, then why do your perform this drill?